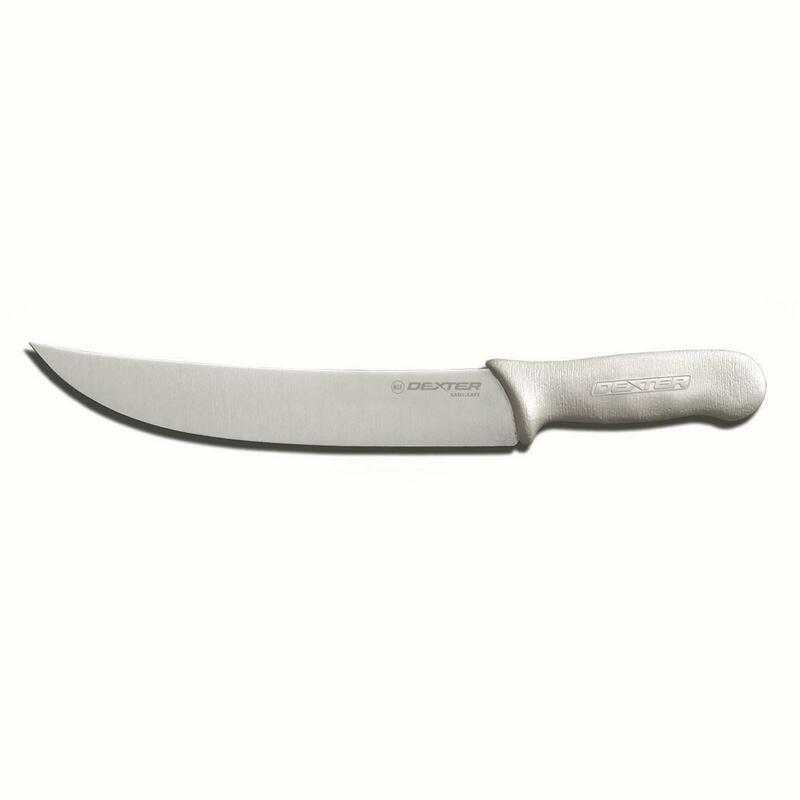 The cimeter knife resides in butcher shops, supermarkets, steakhouses, and meat markets. Each cimeter knife features an extremely sharp, long blade that efficiently trims meat very close to the bone. The blade is wider than a breaking knife, which adds more weight, making them perfect for slicing large pieces of raw meat. With an upward curving blade the tip rises above the level of the handle, giving the user a large range of motion when slicing. They are great for cutting slices of steak, lamb, chicken, and other raw meats.